The Vangoes, known to some as the Hippies of Hip-Hop blend soul, funk, and blues into a live feel good sound. With the band’s aesthetic in mind it was a simple choice to print these shirts using discharge and water-based ink. This gave them that premium soft, retail quality feel. We especially enjoyed printing these not only because Sean Elliot (the band’s MC) designed it but because it was part of a good cause. 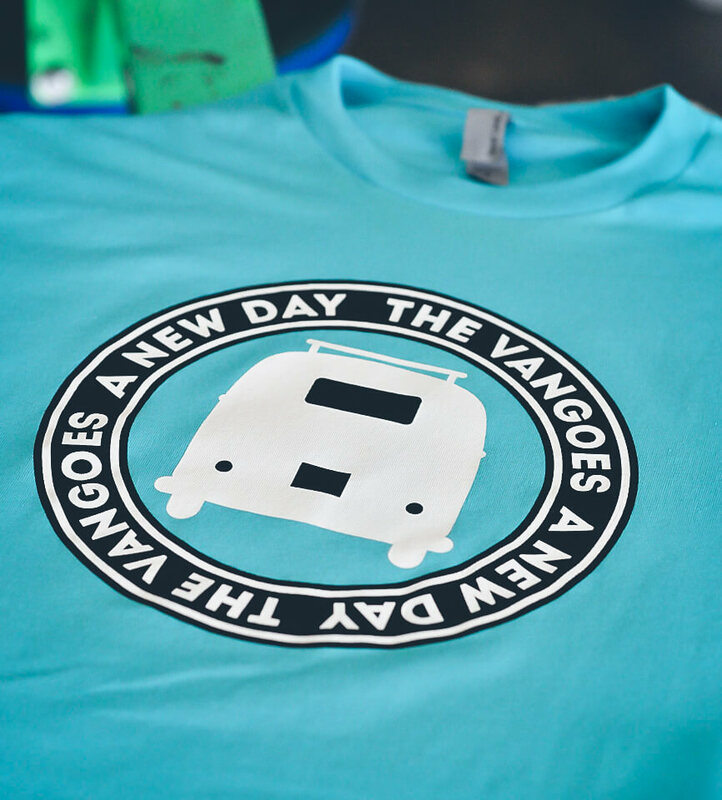 It’s well known that The Vangoes help around the community with food drives and music programs for the youth. Definitely worth noting is that the soulful crooner of the band, Lamar Jones, has his own signature BBQ sauce. It’s called Janktafied Goodness and it’s the bomb! I keep a healthy stock in my pantry all year round.